When Alaska Airlines asked us if we wanted to go Outside Suburbia and be a Weekend Wanderer in San Diego we could not refuse – not just because we know with 70 miles of coastlines and more than two dozen beaches, life is a beach in San Diego but also because we were hoping to see some Spring blooms while we were there. 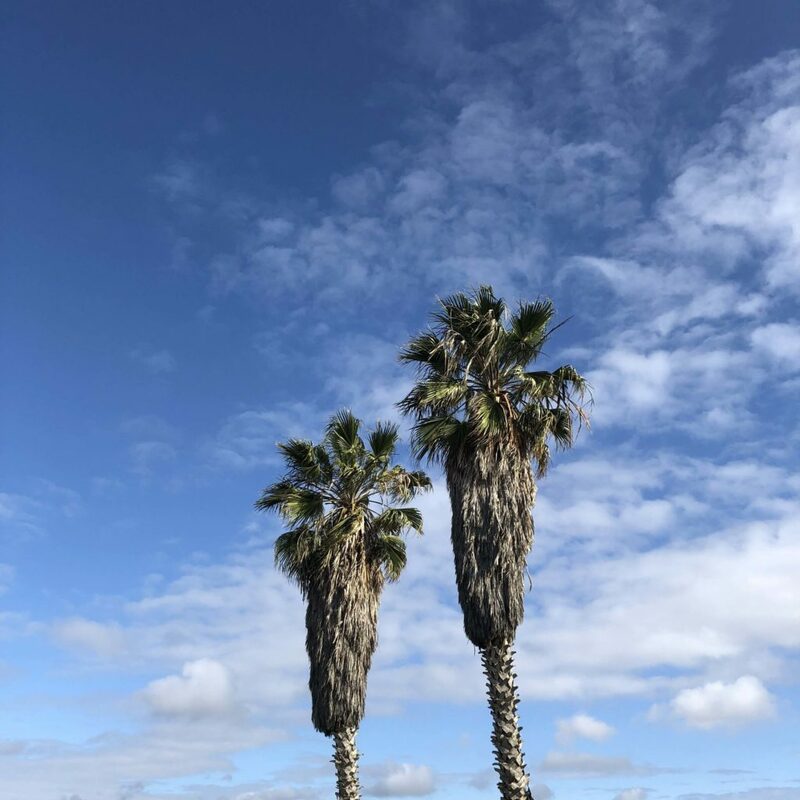 Living in Texas we are used to sunny days and blue skies but there is something about the Cali sun that is softer and soothing – we can never ever say no to a few days basking in it! D had a been doing great at his games, so his baseball coach didn’t mind him missing a day of practice, so we packed our bags, boarded our dog and were ready to wander in San Diego. The three of us took an easy 20 minute Uber ride to Dallas Love Field airport on Thursday evening and boarded our 3 hour flight to spring-y San Diego where the expected forecast was 65 degrees for the next few days. 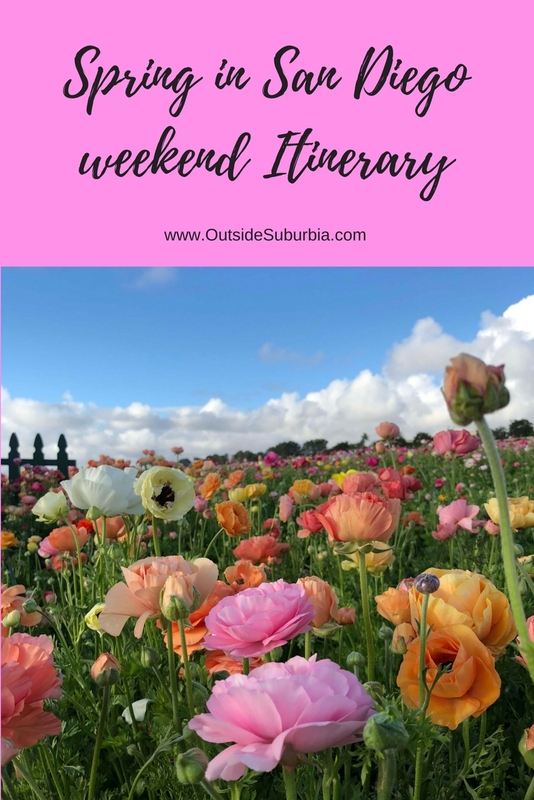 Here is what our 3 day San Diego itinerary looked like. Fly to San Diego, Check-in at Hotel and get dinner nearby at the Gaslamp area, great location, lots of great restaurants. 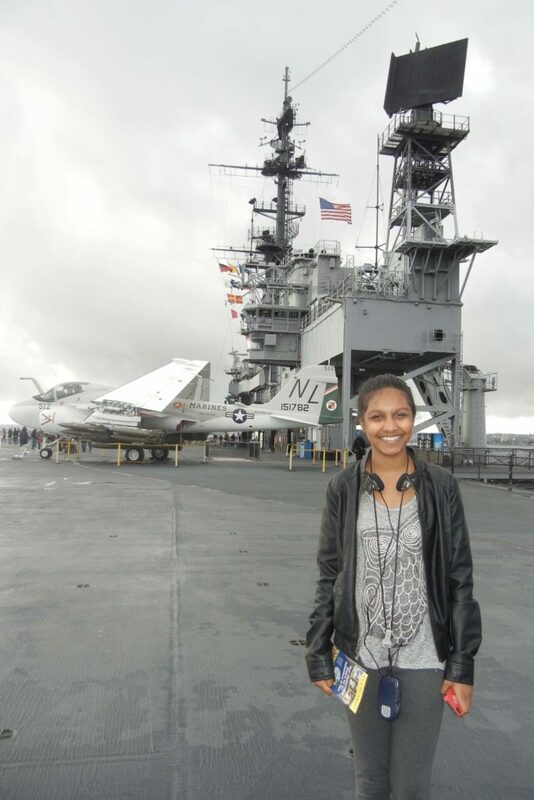 Day 1 – Visit the zoo and museums in Balboa park, stop by Embarcadero, to visit USS Midway and the Star of India. If you are baseball fan – take in a baseball game. Day 3 – A visit to Coronado beach or San Diego Zoo Safari Park and Fly out. 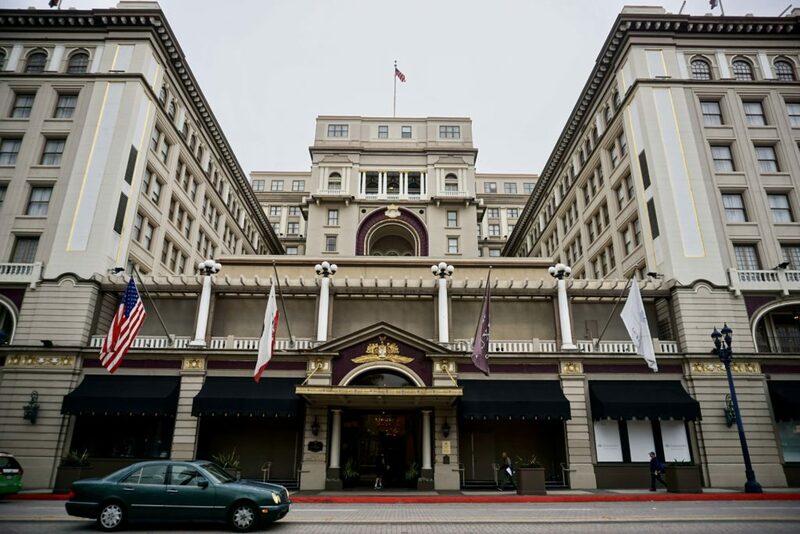 We felt royalty checking in at the US Grant in the lively Gaslamp area, part of the Luxury Collection this Hotel has hosted 15 U.S Presidents and 5 First ladies. The official White House Presidential Portraits are displayed in the Mezzanine Floor in the order of their dates in office. You can pick up a brochure at the concierge and take a self-guided historical tour of the Hotel and see the Presidential ballroom. There is a collection of photos that captures these visits throughout history, including Senator John F. Kennedy’s Presidential campaign speech on the doorstep of the Hotel days before the election. Downstairs the Bivouac Ballroom used to be the Bivouac Grill which during prohibition was transformed into a popular Speakeasy and alcohol was smuggled in from Mexico through underground tunnels that carried salt water from the nearby San Diego bay to the Hotel’s Turkish and Moroccan Baths. The Hotel has recently undergone a multi-million dollar renovation and was perfect for a luxe weekend in the heart of San Diego. 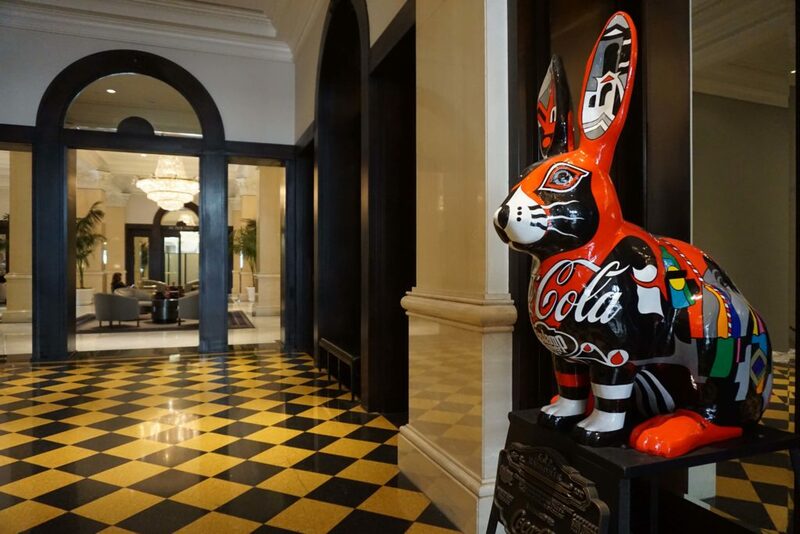 We saw a few installations of colorful Rabbits around the lobby glistening under the chandeliers – when I asked about them, the Concierge mentioned that 150 years ago, the area that in now Gaslamp where the hotel was located was nicknamed “Rabbitville”, after its main inhabitants. To commemorate the 150th Anniversary 15 unique fiberglass rabbit statues were commissioned and are on tour to honor the pioneering spirit of the legendary founder Alonzo Horton who transformed Rabbitsville into modern San Diego. Across the street stands Horton Plaza Park where we picked up our morning coffee while people were going about their morning schedule, the plaza had a lot of foot traffic and a the small amphitheater, an interactive pop-jet fountain, a blue cityscape #whatiftsyou mural by Katelyn and 23 foot tall color-changing statues. We sat here and mapped out our weekend! Our first stop was brunch at Gaslamp Quarter – this 16 square block in the heart of downtown San Diego is full of historical buildings with brick facades, gaslamp street lights bustling nightlife. Just a 5 minute walking distance from our hotel The US Grand. You are spoilt for choices here with 120 plus restaurants and shopping at boutiques and galleries at the Fourth and Fifth Avenue. D our baseball fanatic wanted to checkout the Petco Park – home of the San Diego Padres after brunch. 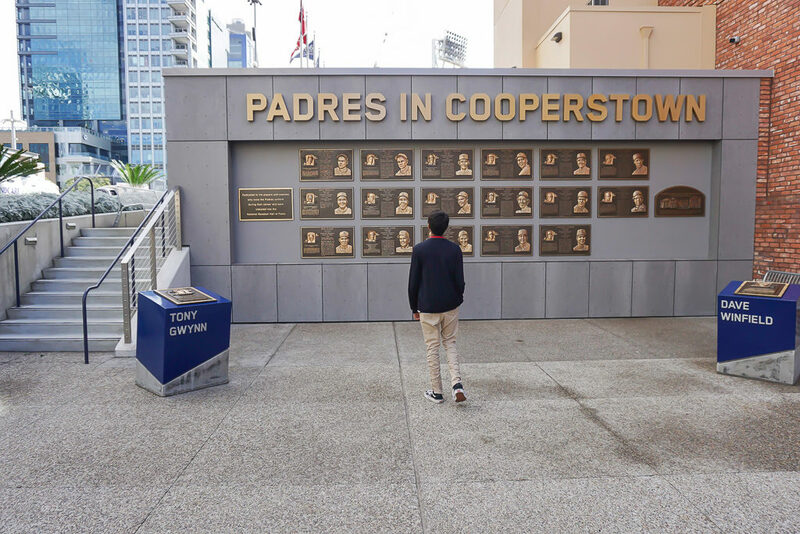 If there are no scheduled games you can still stop at the fan shop or opt for the in-depth tour through the Ballpark and the dugouts. After buying a San Diego Padre’s pennant to add to his Baseball collection we took an Uber to Balboa Park. Balboa Park is around 100 years old and one of our first stops anytime we are in the Fine City of San Diego. It is one of the largest urban parks at 1200 acres, larger than even NYC’s Central Park. We love strolling through the Spanish styles buildings and gardens, visiting the many museums. 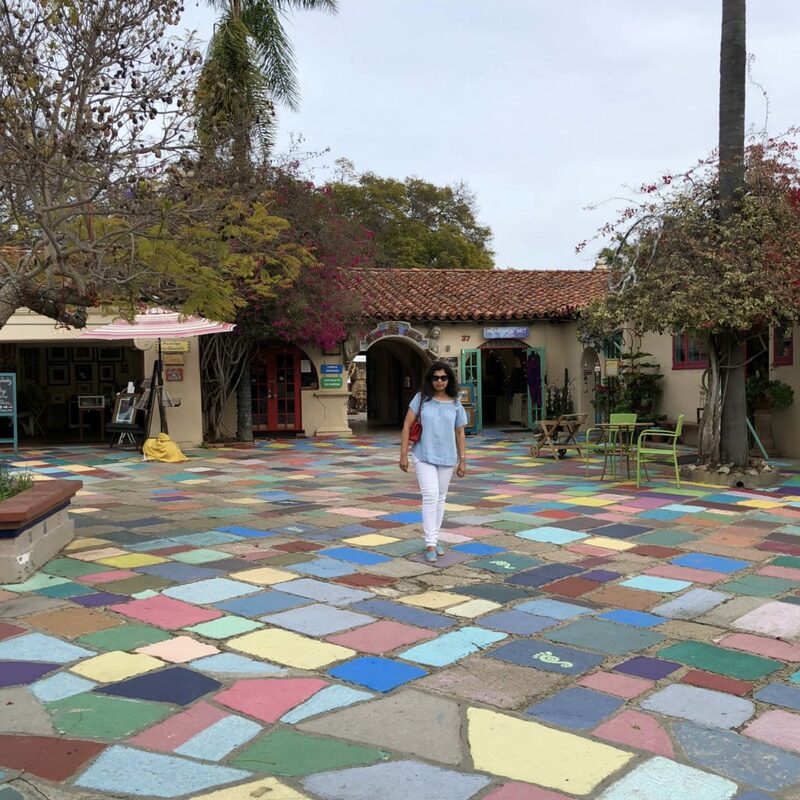 Balboa Park is home to the famous San Diego Zoo, historical Old Globe theatre, San Diego Museum of Art, Aircraft Museum, Natural History Museum among others and a picturesque Spanish Art Village. Watching artist in the open areas or visiting many colorful galleries is always fun. After a stroll in the Spanish Village Art center, we visited the Timken Museum of Art this time around. Affectionately called San Diego’s “Jewel Box” of fine art it houses globally-important collection of European and American masterpieces and Russian icons. It is the only free museum inside the Balboa Park by the way. D wanted to see a few painting that he was learning about in school, so we bought a Gallery Guide and went inside. 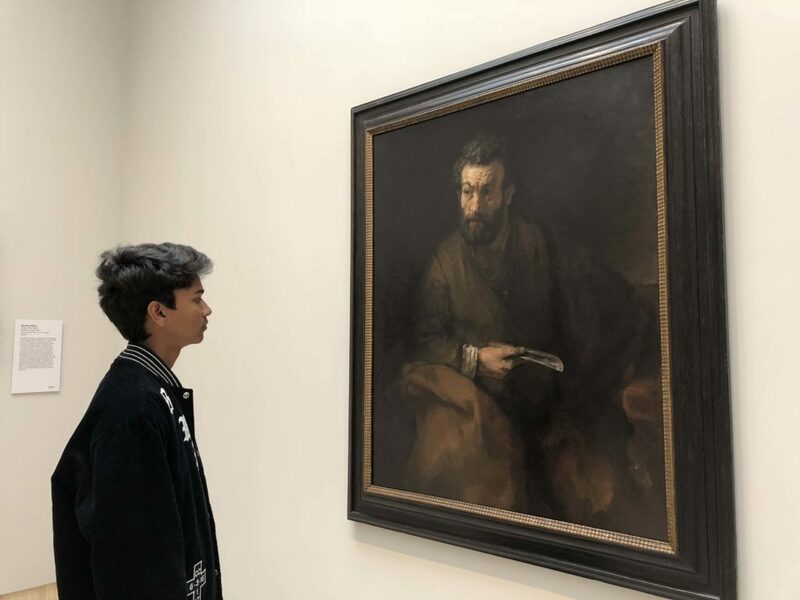 Saint Bartholomew by Rembrandt van Rijn. Since we missed seeing the Cherry blossoms during our visit to Japan last December, I was hoping to see some. 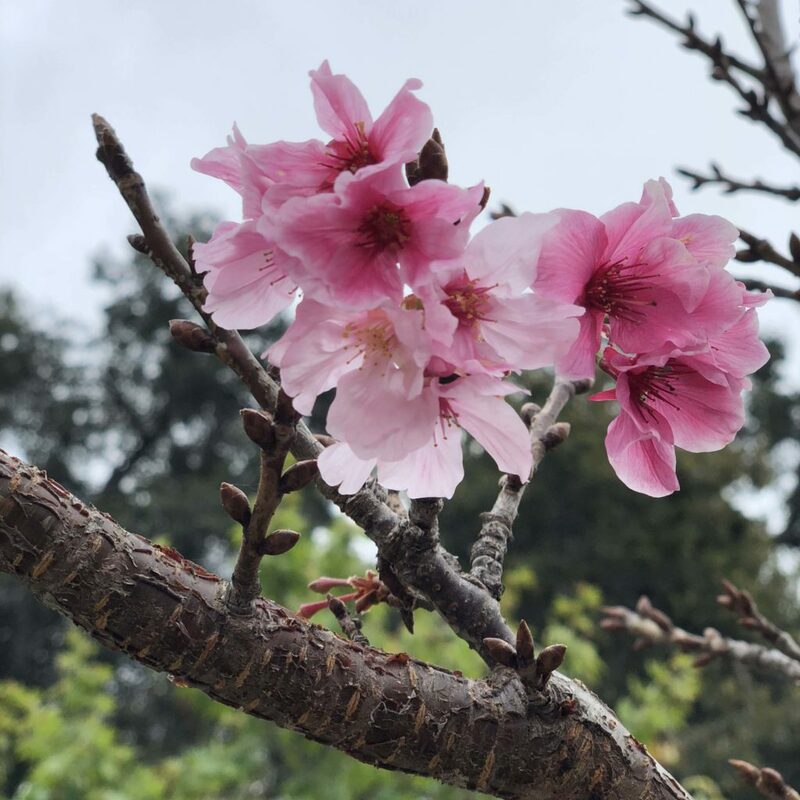 We stopped at the Japanese Friendship garden to see if they were blooming. Not all the trees were on full bloom but still it was a pretty sight to see the pink blooms in the serene landscape dotted with rocks and bridges. Have you seen these little flowers put on a show?! They are breathtaking! 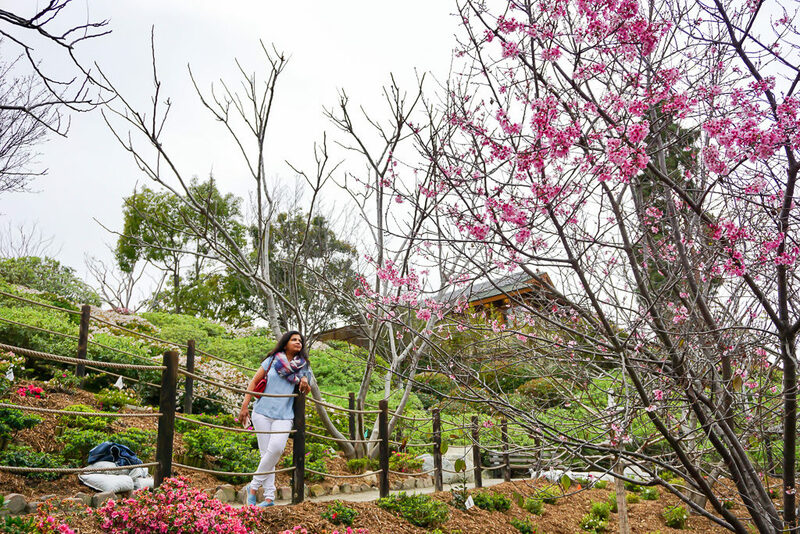 The Japanese Friendship Garden is the best place to see cherry blossoms in San Diego. If you are lucky you can see and smell the purple wisteria blooms hanging on the trellis during Spring at San Diego Japanese Friendship Garden, Balboa Park. You can stop at the adjacent Japanese Tea house or the many stores around for some refreshments. We saw a few families having a picnic and kids playing in the pretty structures. Along the Embarcadero, historical vessels including the aircraft carrier USS Midway and the 1863 Star of India are floating museums. Visiting the USS Midway Aircraft Carrier that sits at the Navy Pier brings to life the patriotic service and military operations through the interactive museum. You can marvel at the legacy of the longest-serving aircraft carrier in U.S. Naval history that served for 47 years. 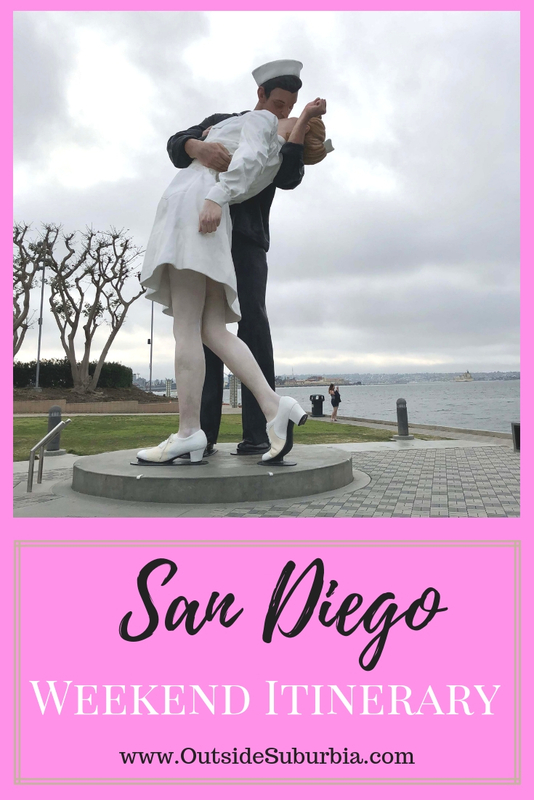 Around the corner near the parking lot is the 25-ft “Unconditional Surrender” statue the infamous embrace starring a sailor and a nurse is an iconic image of the end of World War II. The original image of the moment was captured by photographer Alfred Eisenstaedt on August 14, 1945. J. Seward Johnson is the sculptor of this version, though there has been some debate whether it is actually based on the famous photo. 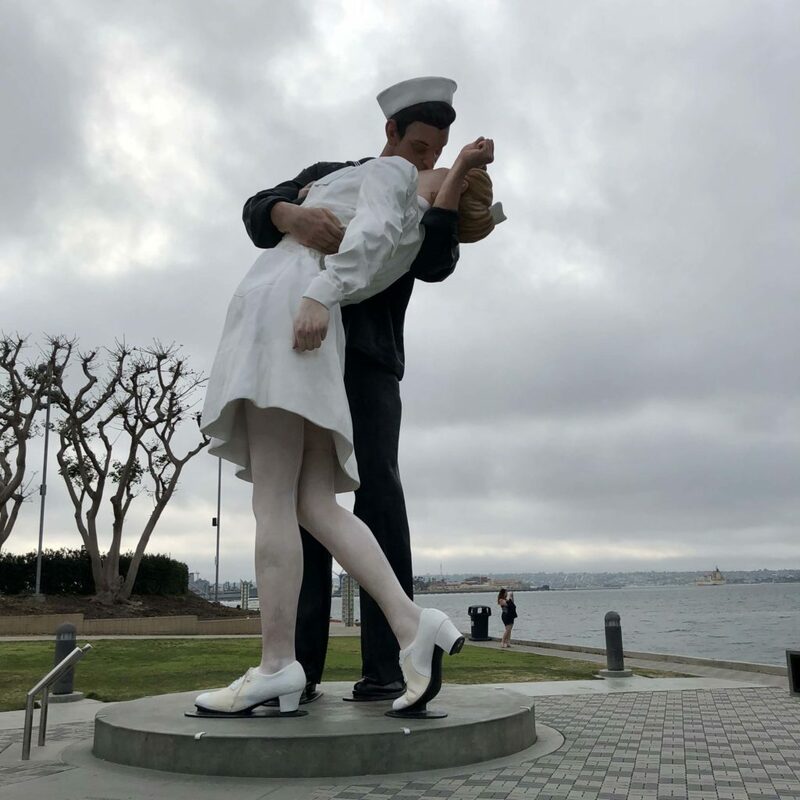 In any event, tourists and old veterans love it, assuming the same Kissing pose with a loved one at its base, or just peeking up the nurse’s skirt. 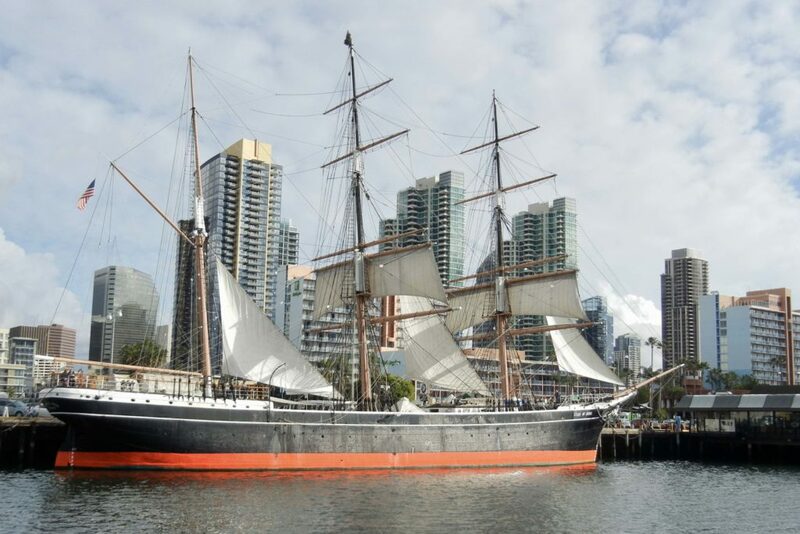 San Diego’s Star of India is the ‘world’s oldest active sailing ship’. When many were still being created out of wood, this iron ship built in 1863 was a great experiment. Beginning the stages of her life known as Euterpe, this full-rigged ship continued until changes were made almost four decades later. The ship’s sailing began with rough seas. Within two trips to India she endured a cyclone, the death of her first captain, collision and a mutiny. 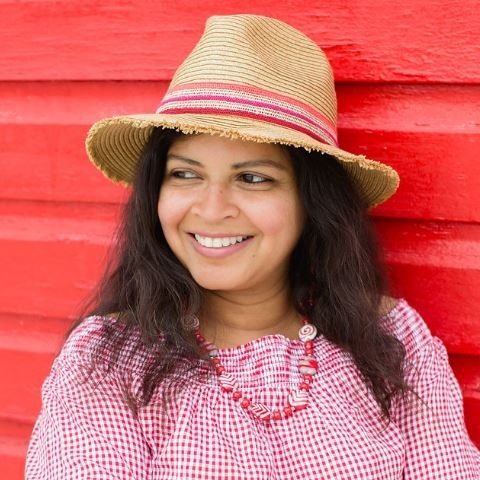 After surviving this difficult beginning, she was turned into a cargo ship and returned to India four more times. Later she began a 25-year run of moving British emigrants to the South Pacific. You can learn more about this little iron ship that could by visiting its chart room, galley, passenger cabins and more. Tickets can be purchased for the Star of India alone or a full visit to the Maritime Museum. Little Trivia : Glenn McDuffie, who claimed that he was the smooching sailor, died at age 86 on March 9, 2014. He is said to have spent the last several years of his life charging women $10 to take a picture of themselves kissing him on the cheek. 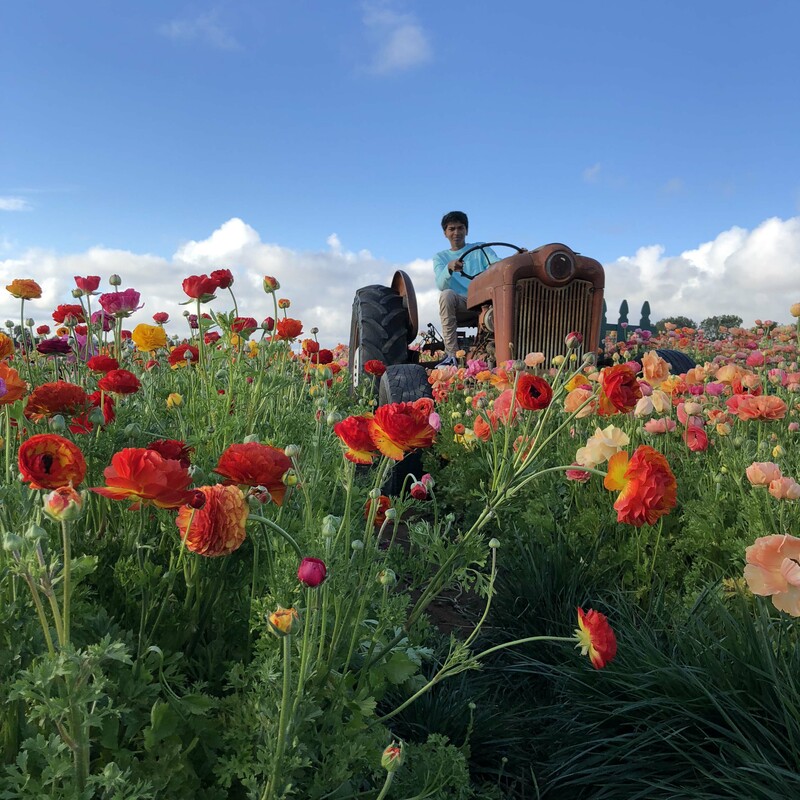 Since we were visiting during spring, we couldn’t pass up the opportunity to visit the blooming The Flower Fields in the North coast. 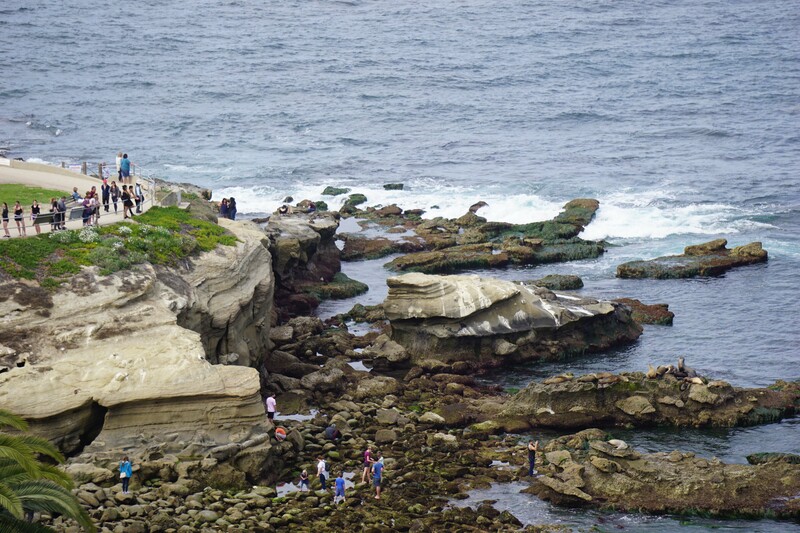 We rented a car for a day from TravCar in Little Italy and drove north, after a pit stop at La Jolla for lunch at our favorite George’s by the cove. 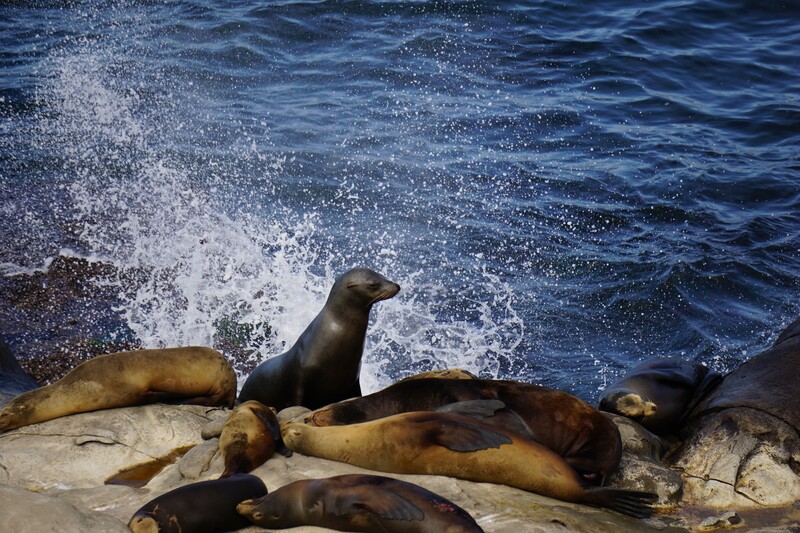 We stopped by to see the sea lions at the La Jolla cove, stroll through the galleries and boutiques in village and made our way to the Gliderport at the Torrey Pines. 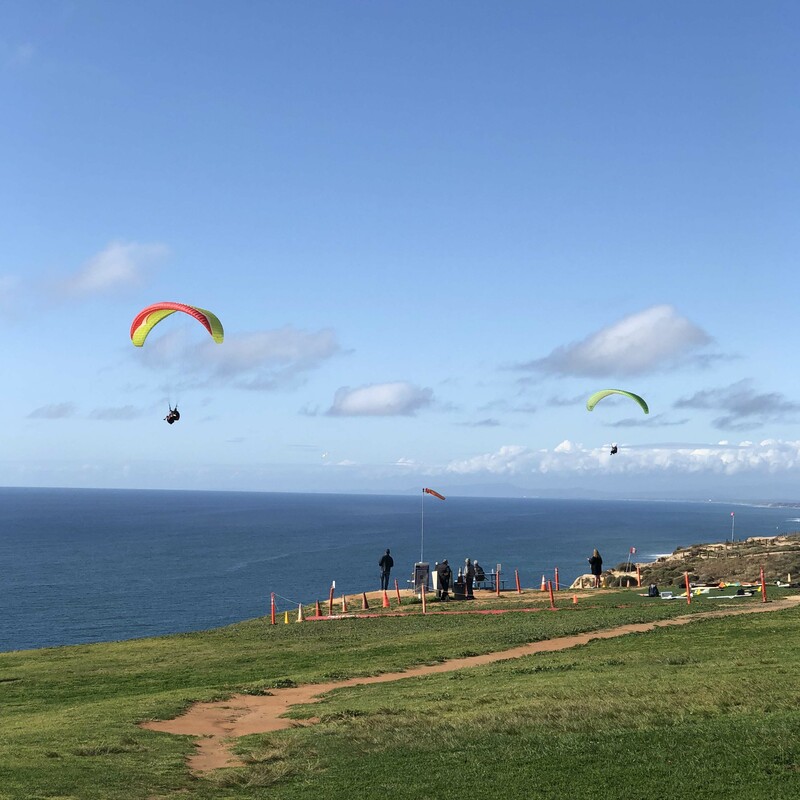 Wishing we more time to try one of the tandem gliders, we drove to Carlsbad. 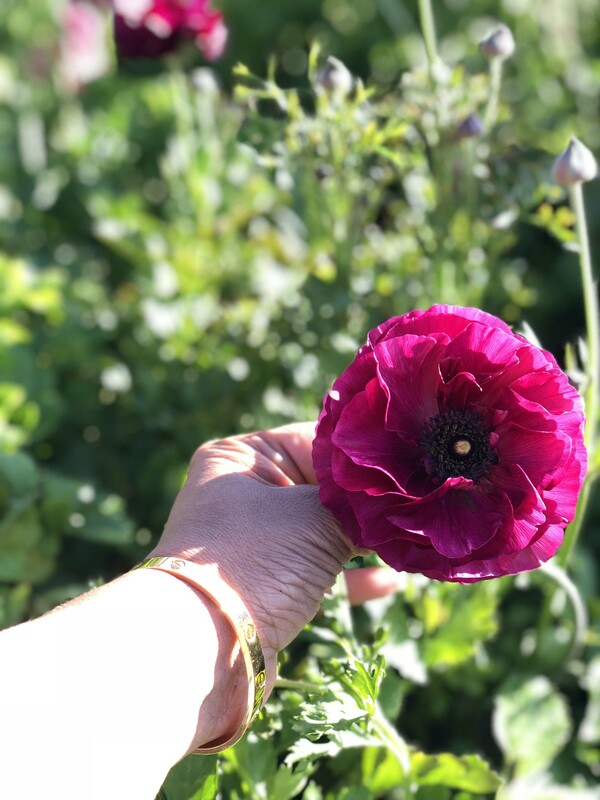 The tecolote ranunculus put on quite a show at this patch of hilly land along with roses gardens, orchids and other spring flowers. There is even a sweet pea maze and an American Flag thanks to strategically placed patches of pansies. 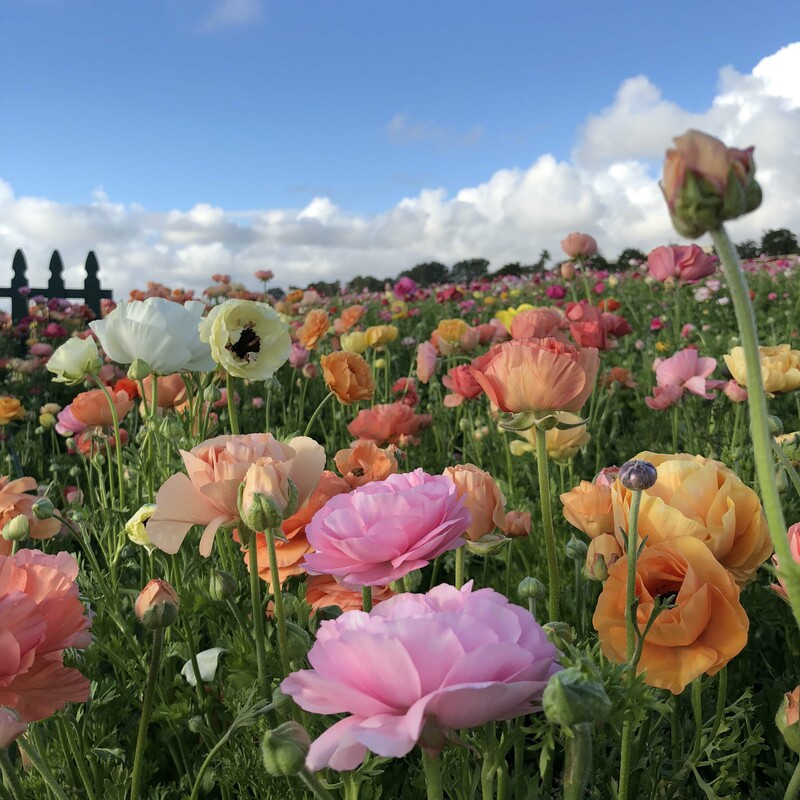 Run by San Diego Master Gardeners it is a sight to behold and can’t be missed if you are visiting San Diego between March and May. 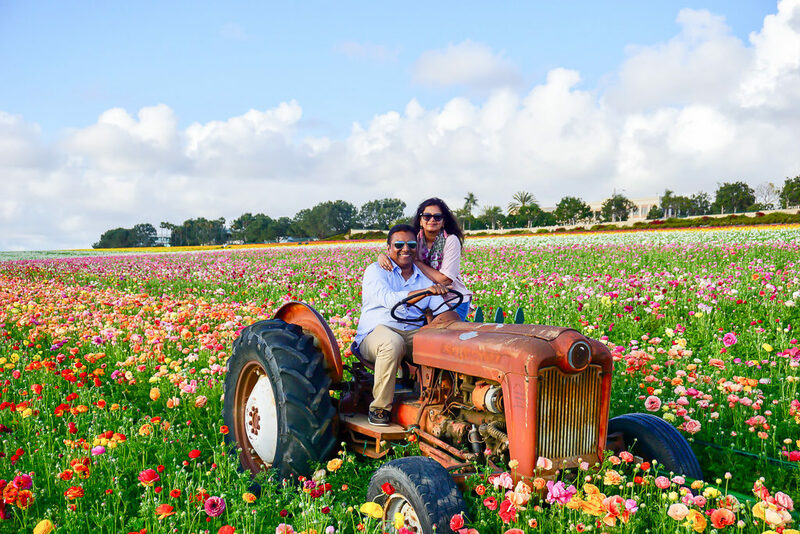 We took a tractor ride to see the flowers upclose – the flowers were in so many colors ranging from pinks, oranges and yellow. (I might have to do a separate post with more of the images from the Flower Fields, I look like a million photos!) 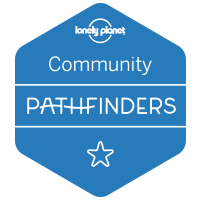 Nearby is the kid favorite Legoland and Seaworld. Although we didn’t stop by during this trip the Birch Aquarium is another place we like to visit near La Jolla. On the way back to return the car, we stopped to watch the sunset at the manmade Mission Bay part of Mission Bay Park where kayaks, jet skis, sailboats were enjoying the last light of the day in the calm backwaters along with hikers, joggers on the bayside paths. It was time to head home. 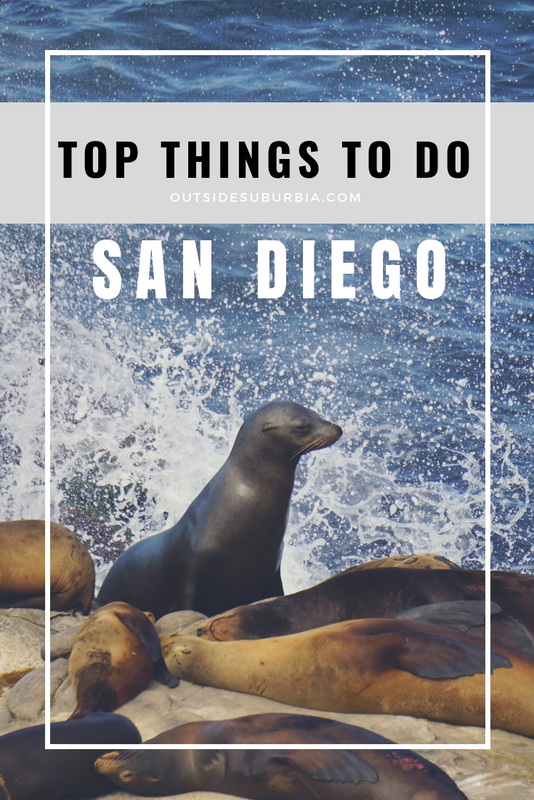 There is plenty to do in San Diego if have a few more days from world class golf, catching a game at the Ballpark, visiting LegoLand or Seaworld to visiting a Safari park that makes you wonder if you are in Africa. If you have time or rather make some time to take a ferry over to Coronado to experience the fine sand, the mica in the sand catches the suns rays and turn silver. 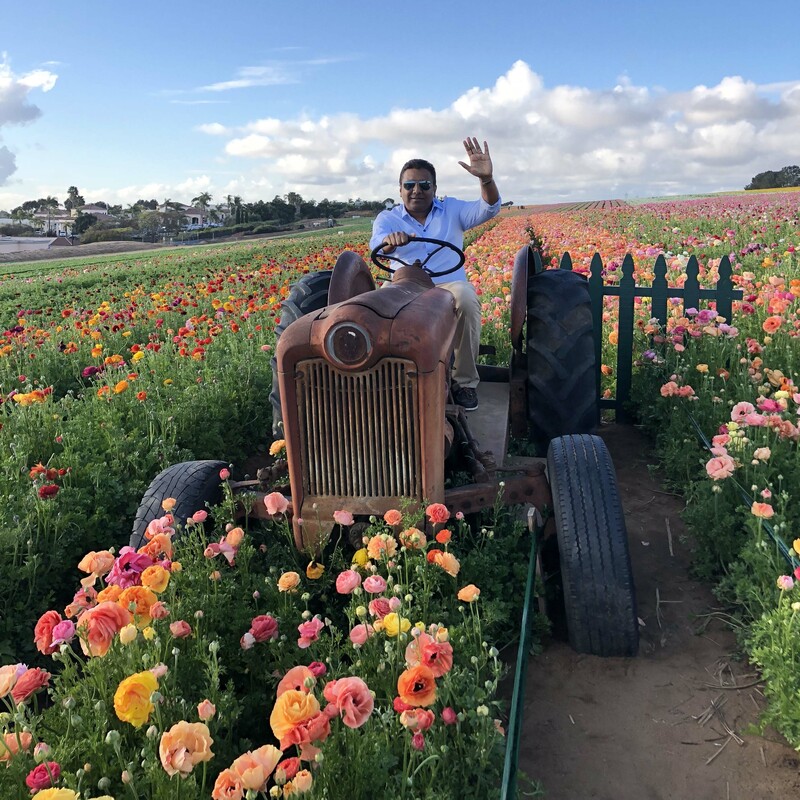 You can stay at the historical Hotel del Coronado or just stop by for a visit to stroll along the tree lined boulevards and eat at one of the cafes in the quaint town center. There is world class golf at some of the famous greens around the area like the Torrey Pines Golf course and Arnold Palmer signature course at the Park Hyatt Aviara. You should visit the Old Town, it is called the Birthplace of California since the earliest settlers and explorers called it home. 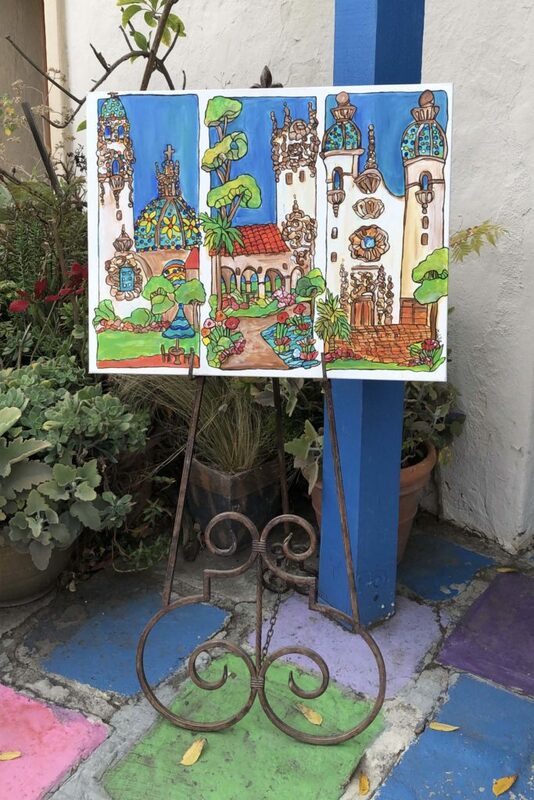 You can browse though the many stores here for colorful Mexican collectibles and enjoy some fresh tortillas in the one of the many restaurants that line San Diego Avenue. The San Diego Zoo Safari Park didn’t start out as a tourist attraction. It actually began as a conservation facility. Dozens of endangered species have been bred at the park and re-introduced into the wild. 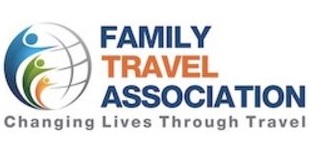 Fees from your visits help them continue that work. If you just do the minimum, it takes 1.5 to 2 hours to go in, walk to the tram, ride it and go straight back out. The Safari Park is about a 45-minute drive from central San Diego. All of that means you need to leave wherever you are in San Diego at least 3 hours before the Safari Park closes. We have been here during our previous trips and make it this time around. The San Diego Zoo Safari Park covers 1,800 acres, and there’s plenty to do and see. Check the daily schedules when you arrive to be sure you don’t miss anything. 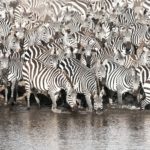 They have a Nairobi Village and take the Africa Tram where you may see deer and antelopes, giraffes, several kinds of rhinoceros, elephants and other types of wild creatures, all roaming in a large area. The foodie scene is pretty strong in San Diego and you can’t miss trying some California cuisine while you are there. There is no shortage of places to eat but these 3 were our favorite! This farm to table spot in Gaslamp oozes Insta-glam. 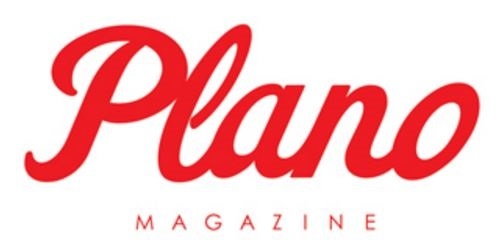 Located in Gaslamp it serves contemporary international food made from scratch, with fresh and organic ingredients. 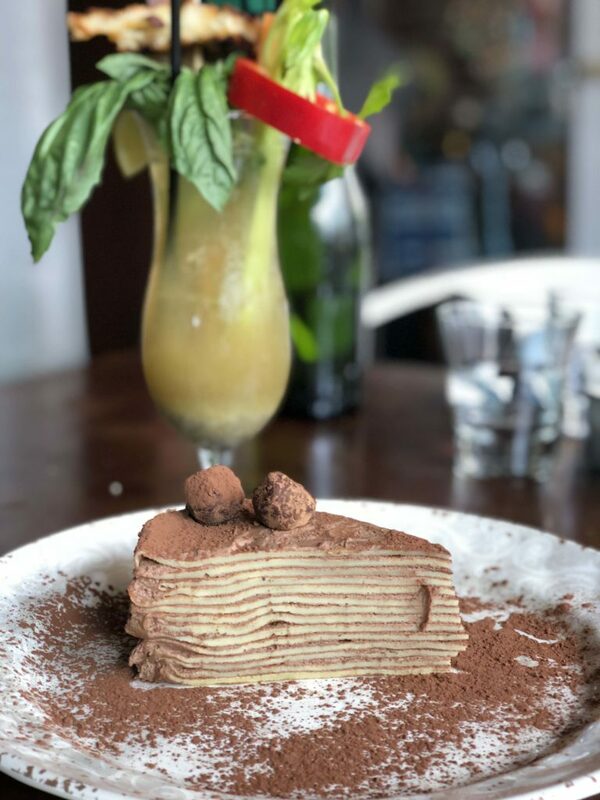 You will find delectable home made bread sandwiches, fresh organic salads, decadent brunches and a huge assortment of organic coffees and complete line of craft cocktails. We started brunch here – mine was California Greenin’ Bloody Mary that came loaded with veggies and a grilled cheese skewer and a chocolate cake before heading to Petco Park and then over to Balboa Park. 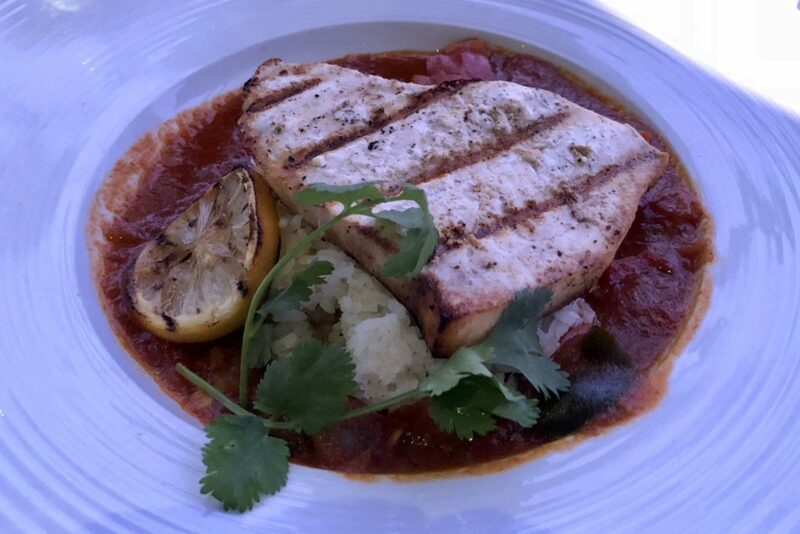 This Bayfront Mexican Restaurant on Harbor Island features a massive waterfront dinning deck with a beautiful view of the San Diego Bay and the downtown skyline. You can watch the ferries make their way from Coronado and if you are lucky even catch some fireworks like we did. While I enjoyed my plantain taquitos, hubby had their ahi tuna toastadas and some freshly prepared fish. D had what looked like a giant portion of nachos with carneras. They have nice cocktail list with more than 100 tequilas and a dozen mescal infusions. I like the Mexican wine that our waitress suggested – a light and fruity Rose – a grenache cursi from valle de gaudalupe. This La Jolla landmark serves up California cuisine with some pretty amazing ocean views. We love coming here anytime we are we in the area, they have 3 different dining options – the terrace is our favorite. 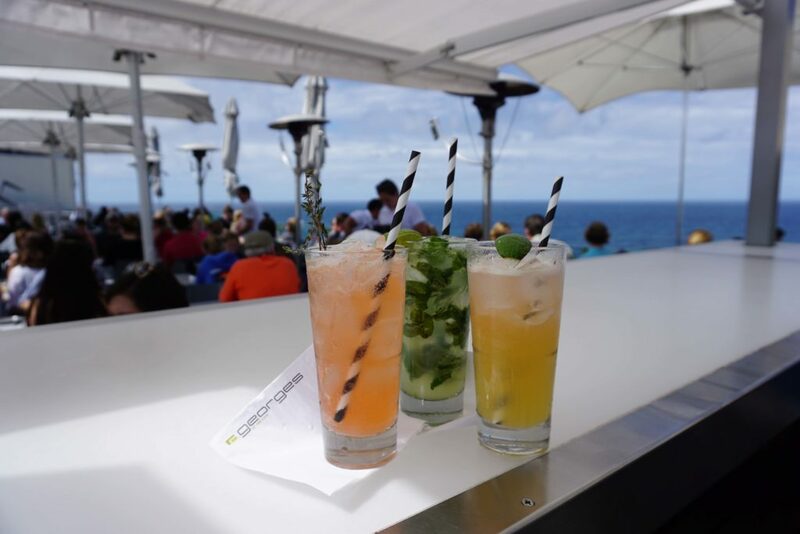 Get a couple of drinks at the bar and enjoy the view while you wait for your table. Hubby stuck to the favorite fish tacos and cerviche and I had their Impossible burger – I took a bite of the burger and saw the medium rare center had to call in the chef who assured me what I was served was indeed a plant based burger. We soaked in the views and enjoyed a warm chocolate cake that came with chocolate covered corn kernels and icecream and coffee. 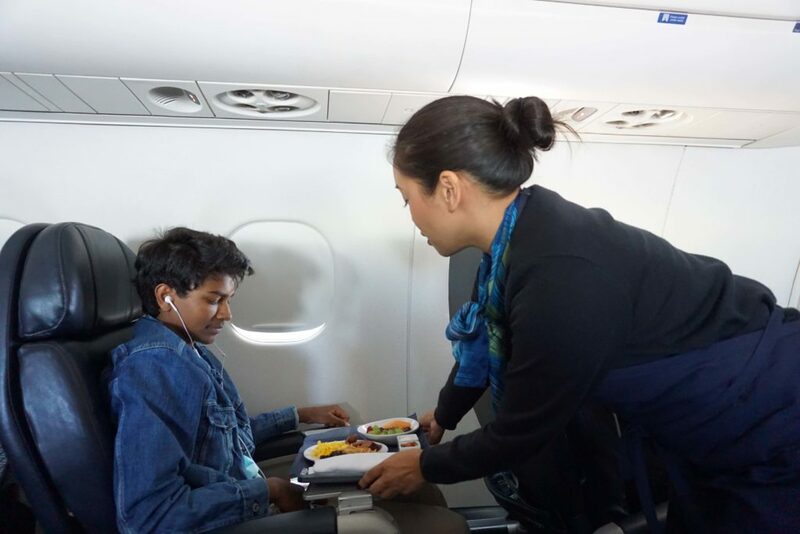 We have nothing but wonderful experiences with Alaska Airlines – from the staff at the ticketing counter or gate agents and inflight staff. Our concierge who printed our boarding pass back at the hotel printed it in a bigger font and the boarding passes we printed didn’t work at the security line – so we had to make our way to the ticketing counter to have the boarding passes printed. The ticketing agent was helpful and courteous, quickly printed them and we were on our way back to the long security line. 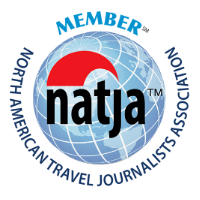 We typically travel light so we didn’t have bags to check-in but if you are traveling First Class or have an Elite level Mileage Plan with them, then the baggage fee is waived. Our First Class seat were roomy and comfortable, since we were catching an early flight back home – a warm breakfast was included. When I mentioned to my friendly flight attendant that I don’t eat meat, she brought me a fresh plate with just eggs and fruit sans sausage. She mentioned that there were other Pacific Northwest inspired meals available for purchase. If you download the AlaskaAirline app before takeoff, you can watch movies or chat with friends on Facebook or Whatsapp using the Free Wifi you just can’t send images of the #windowview yet. While the boys dozed off I was busy browsing through the Alaska Beyond Magazine trying to decide if we should go to Hawaii or visit Alaska next – Where would you go if you could be a WeekendWanderer? 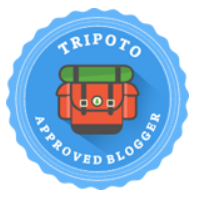 We were invited to be WeekendWanderers in San Diego by Alaska Airlines. 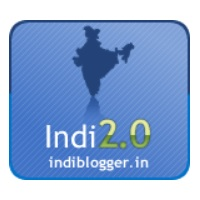 As always, all photos and opinions are our own. San Diego is a great city for a weekend getaway. I especially liked the oceanfront and harbor. And MX food! Alaska Airlines is on my wish list. San Diego is so nice and a lot of fun. I haven’t been in awhile, but you made me want to head back there. That cake looks delicious. I have never flown on Alaska Airlines, but I am glad you had a great experience with them. 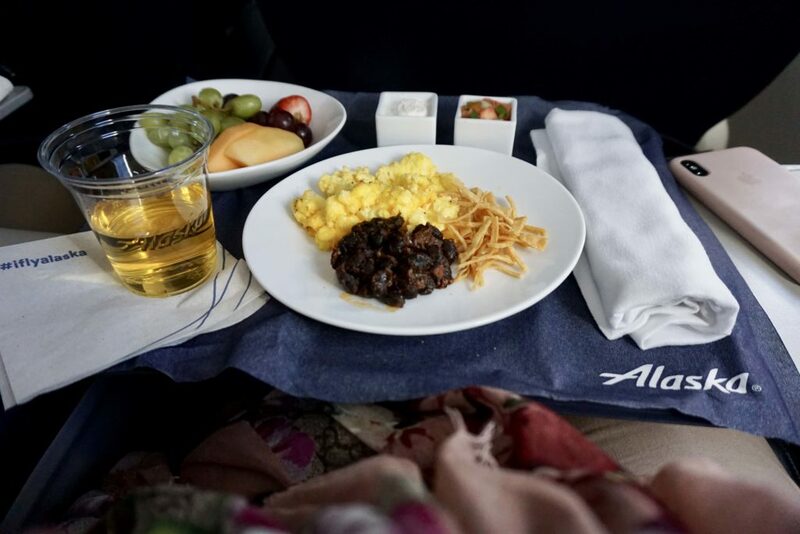 Thanks Holly – We loved Alaska Airlines, hope you get to visit San Diego again soon! 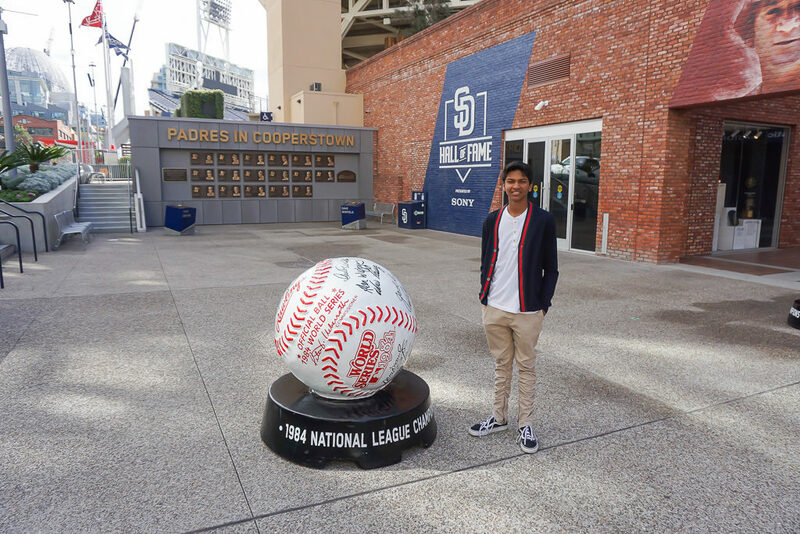 San Diego is my hometown and you did a good job of covering some of the highlights of a visit here. As a local there are several other places I recommend: Liberty Station and Old Town, for sure. Glad you enjoyed your weekend! Thanks Tami – We have been to San Diego at least 3 time so far and haven’t made it to Old Town or Liberty Station! We have family in San Diego so we visit a lot. Been to most of those places but wouldn’t mind being a Weekend Wanderer there another time! Were you hosted by Alaska Airlines? Yes Carol, we were hosted by Alaska Airlines. Didn’t realize that they had so many routes in the West Coast, you should check them out. We used to live in San Diego just off the ocean in Pacific Beach so this all reminds me of home. 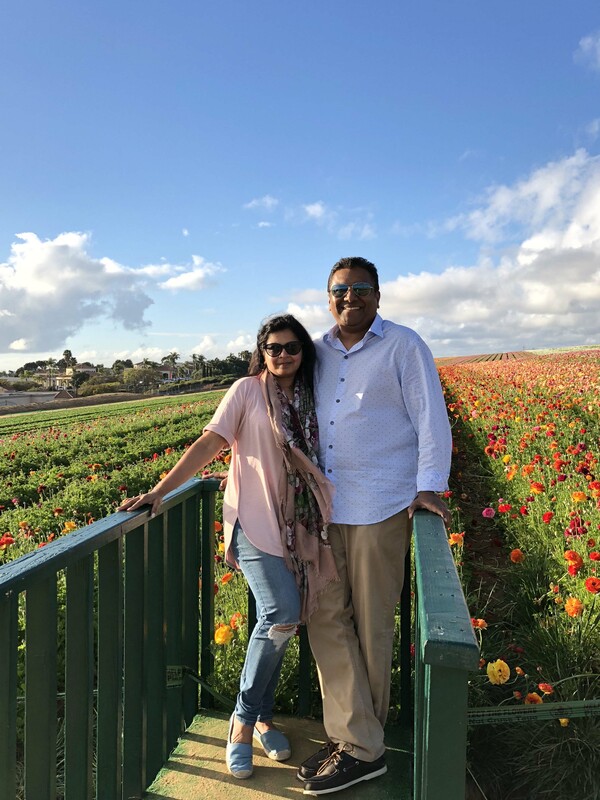 Balboa Park is a magnificent place to visit and we love the Flower Fields. Gaslamp is filled with so many amazing restaurants. I even used to concierge at Hilton Torrey Pines and was a therapist at the Lodge at Torrey Pines so know that area very well. We love Balboa Park, so much to do there! We like basing our self near Gaslamp just for those restaurants!